Rich Elites wield enormous powers and thus control the government. Different political parties are just different faces of the same ‘Hydra’. 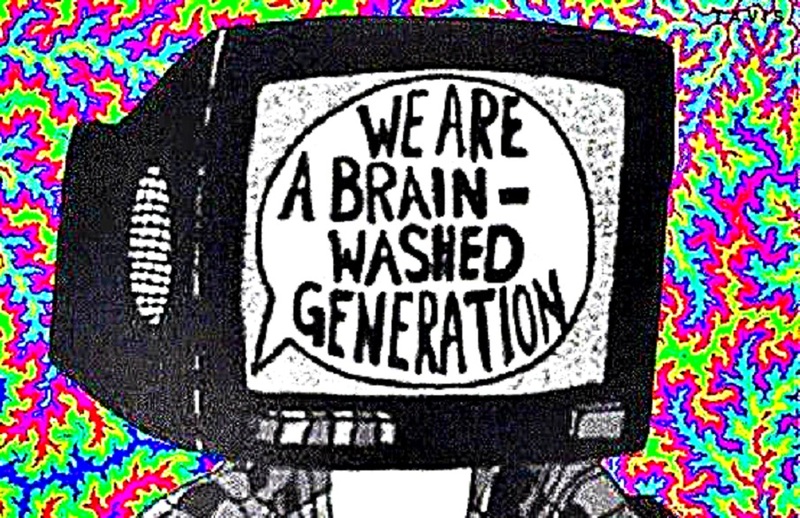 Your mind is stuffed with propaganda spread through paid media. The schools are institutions that create slaves of the capitalist system and not a place to promote free thinking. Question everything that you come across. No matter how convincing the explanation is, you must try to look for the hidden motives. Never believe in the narrative provided by the mainstream media as it will indubitably try to portray image that is suitable to the elites. 2. Don’t let them make you afraid. The Rulers of this world know that the only way for them to maintain their power is by dividing people amongst themselves. Thus they generate fear among communities to make a narrow looking state of mind. Division by fear is how they maintain their power. Do not fall in their trap. 3. Do not lose sight from the real issues. The elites have provided you with so many sources of entertainment that today we hardly find time away from digital screens. Our society is engineered to promote mindless acts. All these distractions prevent us to see the real problems within our structure that they use for their benefit. 4. Don’t trust any politics, trust results. The National Parties are nothing more than the puppets of the banking giants who finance them. Voting for these parties might sound good in short run, but their singular motive is to benefit the people who funded their campaign. So stop trusting who says what, and start trusting facts and results that you can measure. 5. Switch to alternate media. 6. Do not join the institutions of oppression. The Elites have created a way to destroy their opposition with sneaky moves. The military, the police and the intelligence agencies just work for the interest of these elites without even realizing it. They use their passion and love for their people steering them into thinking they protect their people ending up being the ones who harm their people the most. 7. Travel the world, talk with people, hear their stories. Propaganda and media try to make us think that most people are bad and the world is a scary place. They do this by showing us only the negative 0,1% of the world. Opening your mind to new places, meeting new people, and hearing their life stories will make you realize that the world is not a bad place, most people are kinder than you could have imagined, and we all fight the same battles deep inside. Say ‘no’ to the calorie dense salty foods that make you an addict. This junk is sold to you using clever marketing strategies and is very harmful to your body. Also, stop using microwaves and GMO foods. Eat healthy and smart. Stop eating processed food and reduce your meat consumption. Eat more veggies, fruits, and anything that is organic and natural. You will feel better, your aggression will reduce, you will have more energy, you will be happier, healthier and play an active role in reducing Earth’s pollution. All with just eating healthy. 9. Do not buy stuff mindlessly. It is only by our relentless ‘Non-Cooperation’ that we’ll be able to throw these parasites away and move towards a better future. We don’t have to fight back, that’s still playing their game. Just let go of their manipulation, let go of your egoistic drives, and focus on what your heart tells you to do. Stop cooperating with them and rebel with love. After all, they are just one big company that needs you to exist, not the other way around.